ARTHUR ELLIS AWARDS for Excellence in Crime Writing! Rescheduled for Sunday June 23, 2 PM - See you there! Last month, I wrote about Endings, and reader expectations for each of the main genres. The response was positive, and some people have asked that I bring more stuff from class onto these pages. So here are some notes from the very beginning, class 1, hour 1. People often ask what comes first: character or plot? Do you start with a character? Or do you start with a plot? Obstacles to that goal, which are resolved by the end. What does your main character want? Why can’t he get it? There are obstacles in the way of her getting what she wants. THAT PROVIDES CONFLICT. So…you need a character, with a problem or goal, and obstacles to reaching that goal. Believable obstacles that matter. Even in a literary novel. There must be RISK. Your character must stand to lose a lot, if they don’t overcome those obstacles. In crime books, it’s usually their life. So…you may think you have a nice story of a man and woman meeting and falling in love, and deciding to make a commitment. Awfully nice for the man and woman, but dead boring for the reader. Even in a romance, there must be obstacles to the man and woman getting together. If you don’t have obstacles, you don’t have conflict, you don’t have a plot, and you don’t have a novel. When X happens, Y must do Z, otherwise ABCD will happen. That’s what you need for a novel. 1. Readers must know what each character’s goals are so they can keep score. 2. Goals must be clearly defined, and they must be evident from the beginning. 3. There must be opposition, which creates the possibility of losing. 4. Will the character achieve his goal? Readers will keep turning pages to find out. If you don’t provide goals, readers will get bored. They won’t know the significance of the ‘actions’ the hero takes. Until we know what your character wants, we don’t know what the story is about. Until we know what’s at stake, we don’t care. Part of being a writer is being honest. Even in fiction, we talk about 'the honesty of the writing.' Reality can be a bugger. Even humour writers - or perhaps especially humour writers - peel back masks to uncover the truth. 1. Well-meaning people say things they don’t mean. I can’t count the number of people who said, “If there’s anything I can do…anything at all.” Well, of course there are things you can do. If you live close by, you can invite me out to lunch or dinner. You don’t need me to ask you to do that. So many people said this well-meaning platitude, and then did nothing. I guess saying it made them feel good – as good as if they had actually done something. But it’s not the same. Truly, if you are well-meaning (and several people are, bless them) don't forget to follow through. 1. Make them a meal for the freezer. Four friends came through in ways that just astounded me. They kept both of us fed for over a month, and me later, for another month. Bless them. I'll never forget this. 2. Invite them out for a meal. Suggest something to spend time with them. They are going to be lonely. 3. If you live farther away, send them a gift certificate for Skip the Dishes or other restaurants. Or Amazon, and other bookstores. I appreciated every one. 2. You have to be very careful how you answer people who reach out to you. They really don’t want an honest response. 3. You can’t be truthful about how you are coping, weeks on. If you tell the truth – that you are so lonely – many will back away, afraid you will ask them to fulfill a role they are not prepared to do. Maybe they give you platitudes in response. One cousin, who lives 45 minutes away, said to me: “You can be lonely even in a group of people.” Take it from me: this is exactly the wrong thing to say. Instead, why didn’t she acknowledge my loneliness, and perhaps invite me to lunch? What I know now: if a grieving widow tells me she is lonely, I will ask her to dinner. I can’t be company for her all day. That’s not expected. But something I *can* do is make her a little less lonely for a few hours, here and there. Show that I care about her loneliness. So: The sad truth about being a widow is you can’t be honest. You must show that you are coping, so that people don't avoid you. And in truth, I understand this. Everyone has their burdens within their own families. Very few people can invite taking on additional difficulties. So how am I really coping? I’m still haunted by how he died, but have learned to compartmentalize it so it doesn’t paralyse me. The loneliness is there, like an illness that won’t go away. I am blessed to have two wonderful daughters, several close friends, and readers who care. I’m writing again, and not just blogs as you see here. I’m even writing humour again. In short, I’m coping. Thanks for listening. I hope you never have to go through this. But if you come across someone who is, perhaps this post will help. In all my classes and workshops, we talk about satisfying the reader. As authors we make a ‘promise to the reader’. We establish this promise in the first few pages and chapters. Who will this story be about? What genre? Is it romance, mystery, thriller, western or one of the others? Readers are attached to different genres, whether we authors like it or not. We have to be aware that when we promise something, we need to fulfill it. As an example: a thing that drives me crazy is when books are promoted as mysteries, and they are really thrillers. I like murder mysteries; my favourite book is an intelligent whodunit, with diabolically clever plotting. In a thriller, the plot usually centres on a character in jeopardy. Not the same. ROMANCE: The man and woman will come together to have a HEA (happy ever after) after surmounting great obstacles. WESTERN: The good guy will win. Simple as that. ACTION-ADVENTURE: The Bond-clone will survive and triumph. Sometimes the bad guy will get away to allow for a future story. HORROR: Usually, the protagonist will survive. If not, he will usually die heroically saving others. Hope is key. If readers have lost hope, they will stop reading. Remember what we do: Fiction authors write about things that never happened and people who don’t exist. Remember what fiction writers must provide: The ending must satisfy the reader. So: Don’t tell a publisher that your book/short story is based on real life. The publisher doesn’t care. They are only looking for a good story. Melodie Campbell is the author of the multi-award-winning Goddaughter series. 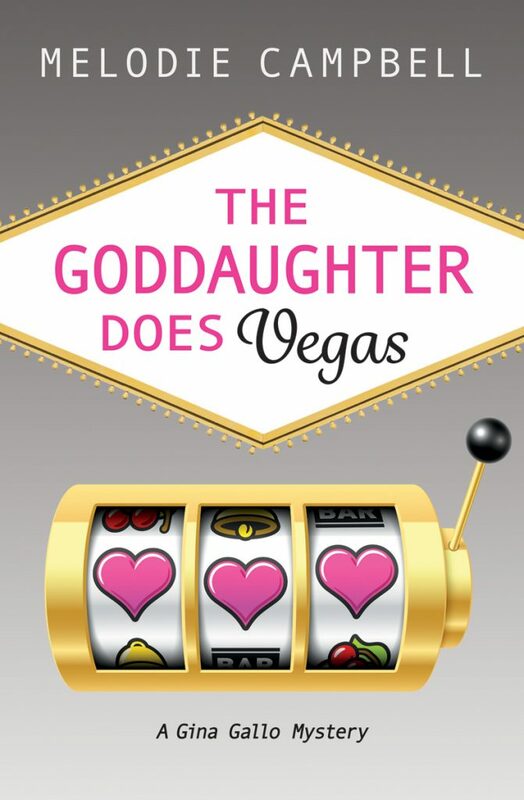 Book 6, The Goddaughter Does Vegas, is now available at all the usual suspects. Yes, libraries pay the publisher to have a copy of our book in their library. But usually, they get the book from the publisher at half price. Since most authors get paid 10% of cover, we only see $1 for a $10 book. If that book is sold for half price, we only get 50 cents a book. But what if that book is read by 50 people in a library? And I was only paid 50 cents of royalty for that book? Doesn't seem fair, does it. For those who don't know, one of the ways authors get paid in Canada is through the Canada Council tally of which books are in a random 7 libraries across Canada. They do this once a year. We get paid per book hit in those libraries. REALLY nice to see all 7 Orca books (the Goddaughter series and others) in all 7 PLR selected libraries (plus a few other books.) Yay PLR cheques! They can make all the difference to an author. You can make a difference to authors too. If you love an author's books, tell her via email, or on her website. If you can afford to, buy her books. If you can't afford to, ask your local library to bring them in. Let me know that you did, and I'll be very grateful. You love all your book babies. 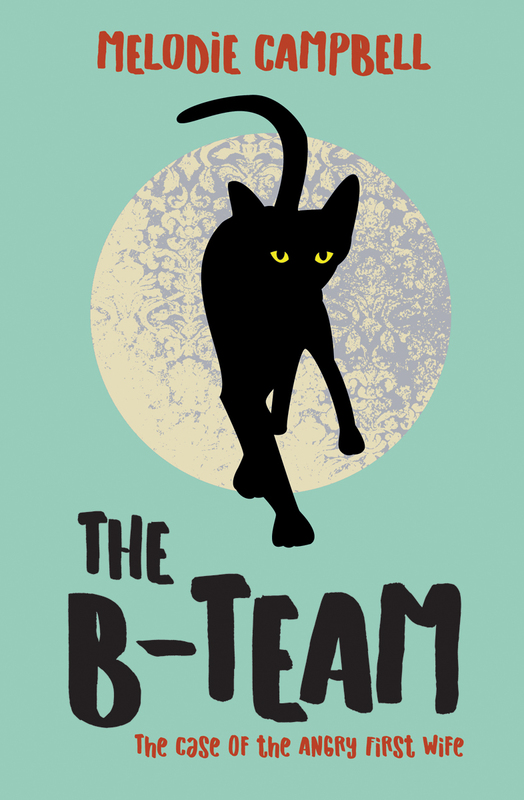 But I have a particular love for this YA crime book, coming out in August. Two years ago, I contributed a "Name that Character" item to the Burlington Humane Society gala silent auction. The winner gave us all a grin, when he asked if I could include his pug Wolfgang in a book. 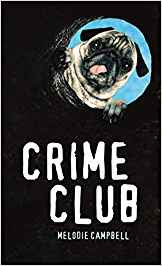 Well, readers, I made Wolfgang a key character - a supporting actor, in fact - in Crime Club! And what fun he is. Then my publisher, Orca Books, gave Wolfgang even more promo by putting him on the cover. The money raised from the character name donation went to support needy animals. I couldn't be happier about that. A small ray of sunshine in the darkest winter of my life. Out Aug. 29 from all the usual suspects, and available for preorder from Amazon now. 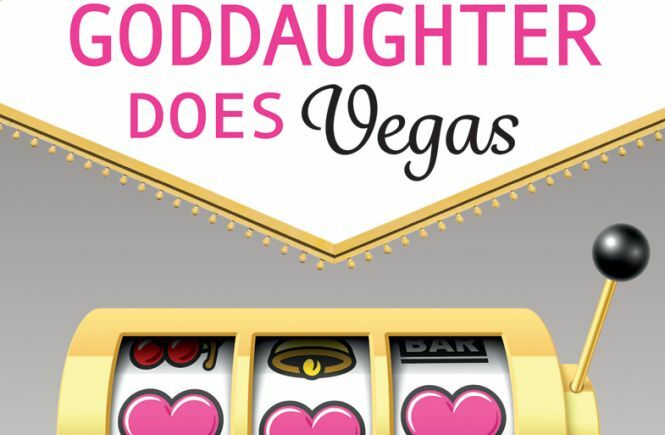 In The Goddaughter Does Vegas, Gina Gallo is a mob goddaughter who doesn’t want to be one. She’s left her loopy family behind to elope with Pete to Vegas. Except that eloping may be a mortal sin in an Italian family. Between that and some weird deliveries and suitors, Gina’s nerves are frayed. Vegas is full of great acts, but one impersonation is real: Gina has a crime-committing double whose activities are making Gina front-page news. Gina has to track down this fiendish fraud before the police catch up with her. And, of course, cousin Nico is along for the ride. What is the best surprise you had in the process of writing this book? That I could turn a truly awful personal experience into a very funny book! Two years ago, my Amazon account was hacked. It was a nightmare. But that gave me the idea for The Goddaughter Does Vegas, where first her Amazon account is hacked, and then Gina’s whole identity is stolen! When life gives you lemons…write books from the experience. What would you do if you were Gina? You’re supposed to love and support your family, but what if your family was this one? Have you ever met a member of the mob? (Oh yes, I get asked that all the time!) Short Answer: Yes. Long Answer: I had to wait until certain relatives died before I could write these books. ‘Nuff said. I write comedies, so my hope is that people reading my book will have great fun and be inspired to keep reading all sorts of books for enjoyment. That’s what I want. To help reluctant readers discover the love of reading, as I did. The Goddaughter Does Vegas is available now! 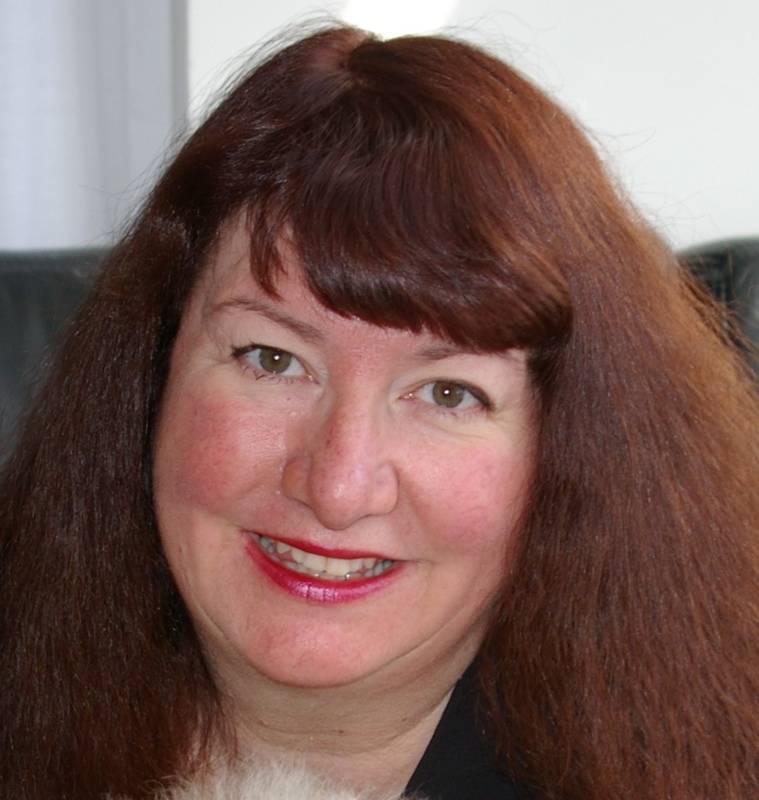 Melodie Campbell is the award-winning author of several works of fiction. Melodie lives in Oakville, Ontario. For more information, visit melodiecampbell.com. 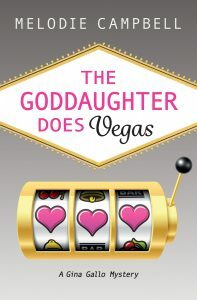 Many thanks to the early reviewers at Library Thing, who posted eleven 4 and 5 star reviews for THE GODDAUGHTER DOES VEGAS! Thank you, whoever you are. You have no idea how much this means to authors. THE GODDAUGHTER DOES VEGAS launches today. I’ve had to cancel the in-person launch and the television appearance due to the mourning we are in. I’m hoping my friends can help by spreading the word, and perhaps even buying a copy. This manuscript was Dave’s favourite – he loved the whacky comedy in it, and contributed to the made-up Vegas hotel name and description. I can’t manage much promotion right now, and I will appreciate anything people can do, and every purchase.